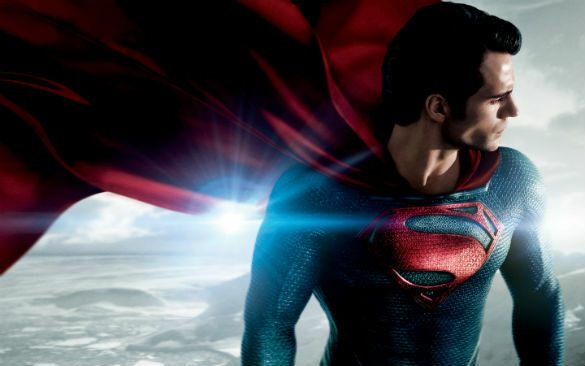 The early reviews of Man of Steel have been extremely positive, so it's perhaps not surprising that a sequel has reportedly been fast tracked by Warner Bros. After all, a sequel has been rumored for months, and it only makes sense that the studio would want to continue such an important, popular franchise. The bigger question has been, who would be in the driver's seat? And how would that affect the prospects for a Justice League movie? Director Zack Snyder and writer David S. Goyer will both be returning, but Christopher Nolan's involvement "won't be as 'full-blown,'" according to the report. But wait -- there's no need to panic! As director, Snyder is obviously important, since he has to marshal the massive forces involved with a huge production and a large budget and try to deliver a financial success that also wins over die-hard fans and audiences worldwide who may never have seen Superman fly before. His work on Man of Steel is mighty impressive, and shows that the man who made the sometimes excessively stylish 300 and Watchmen is also capable of subtlety and warmth. It's quite likely that Nolan, who served as a producer and an unofficial "mentor," helped guide Snyder on many aspects of the movie. As writer, though, Goyer is the key figure here, not Nolan. Remember, Goyer worked with Nolan on Batman Begins back in 2005, successfully rebooting the character. Goyer and Nolan did the same thing on Man of Steel; they share credit for the story, which reboots the iconic Superman into a post-9/11 character who could sit and work together comfortably alongside Batman. Goyer also wrote the screenplay, which lays things out in a way that's easy to follow for the newcomer to the franchise and also provides nourishment for longtime fans of Kal-El. With the assignment to write the Man of Steel sequel, he can provide a blueprint that will allow room for the new, more modern characters to grow and lay the groundwork for a Justice League team up. Ah, yes, Justice League. The prospects for that tangled project appeared to dim when it was reported that a script by Will Beall (Gangster Squad) did not meet expectations. But it received new life this spring when it was rumored that Nolan might direct, with Christian Bale once again donning the cowl and cape. While that remains firmly in the rumor camp, Goyer has evidently been tapped to write the script for Justice League; he all but confirmed it himself at the Man of Steel premiere last night, though official word from the studio has not yet been issued. If it's true, however, that Goyer will be penning the Justice League script, that smooths the way for a superhero team up, since Goyer is intimately familiar with both Batman and Superman, the key players. The world in which Superman now lives is a dangerous environment in which he needs all the help he can get from mankind. Goyer can track his progress in dealing with governmental authorities and the public at large in Man of Steel 2, and then detail how he comes to work with the crime fighter we see at the end of The Dark Knight Rises, a character who is suspicious of both the government and the public. 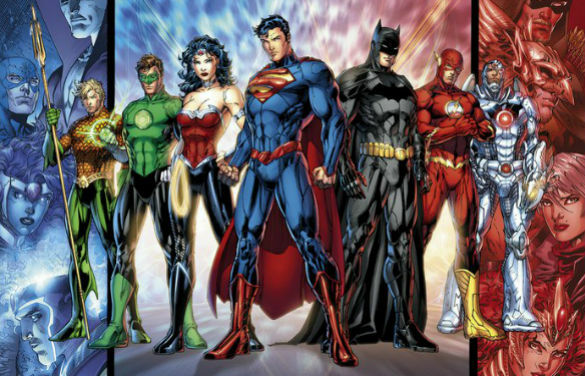 Put those two characters together into a Justice League movie, carve out a way to introduce and showcase Wonder Woman, the Green Lantern and the Flash, and we're talking about a movie that will lure everyone into theaters -- but, given the timetable for such big-budget, effects-laden productions, don't expect Man of Steel 2 until 2015 at the earliest, which would push Justice League back to 2016 or 2017. That allows plenty of time to plan out other movies in the same universe, and will, we fervently hope, be worth the wait.